One of the most exciting things about building a new house was seeing how much natural light we were going to get with our windows. They are huge, and there are lots of them. In the late afternoon I often find myself realizing that I’ve not turned the lights on since early morning. 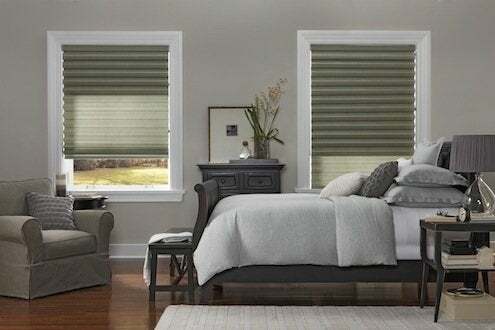 But when it starts to get dark, and the need for privacy becomes apparent, my mind sees those huge, multiple units in an entirely different context—like, what was I thinking… do you know how much custom window treatments cost? When I lived in a small New York City apartment, we had five windows in the whole place (and the bathroom window was pre-frosted for privacy). Since none of the windows were terribly big, I could afford to spend some bucks on custom treatments. So it’s time to explore some options. If you are willing to trust your measuring and wield a power drill, you can shop and order online, install the curtains yourself, and save a boatload of cash. 1. Choose your treatment type. 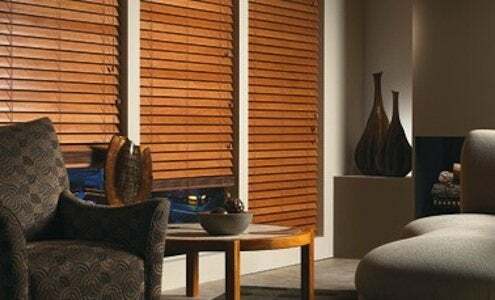 Do you want blinds, roman shades, roller shades, or something else? 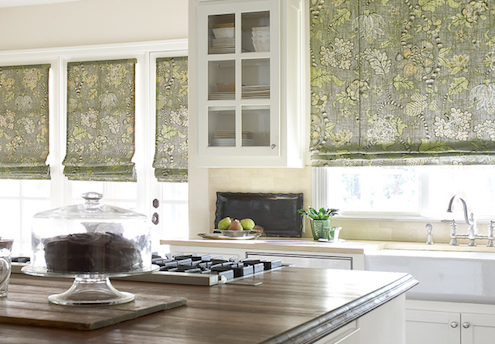 Never heard of a roman shade? And what is woven wood, anyway? Picture galleries can help make sense of it all. Browse to your heart’s content. 2. Choose your fabric. Most online sellers will send you free swatches. Take advantage of that, so you can see how materials will look in your home. 3. Measure. 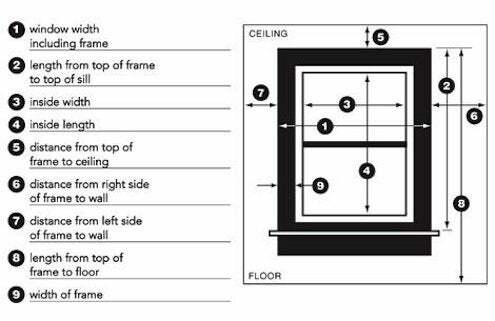 Once you decide, a measuring guide (like the one below) will instruct you on how to get your window measurements. Double-check! These treatments will be custom ordered, so there will be no option to return them if they don’t fit due to mis-measurement. 4. Decide on your options. You’ll also need to decide on mounting (inside or outside the window frame), control type (cordless, continuous loop, etc. ), valance, hardware and other options. Ordering specialists are available by phone if you need help. They are a wonderful resource, so feel free to use them. It generally takes about three weeks to have treatments ordered and shipped—the same timeframe as any custom outfit that comes to your home. Once they arrive, you’ll need to get your ladder, level, and your power drill. It may take an hour or two of your time to install them, but it will surely be worth it for what you save. Then you can spend more money on rugs!